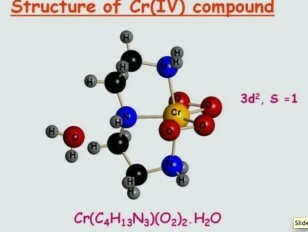 A spin-1 compound based on a Cr(IV) ion and associated ligands was analyzed for quantum phase transitions at extremely low (20mK – 2.0K) temperatures and high (12 T-18 T) magnetic field strengths. This research was performed in conjunction with the National High Magnetic Field Laboratory in Tallahassee, FL. Qubits – a Route to an Ultrafast Computer?